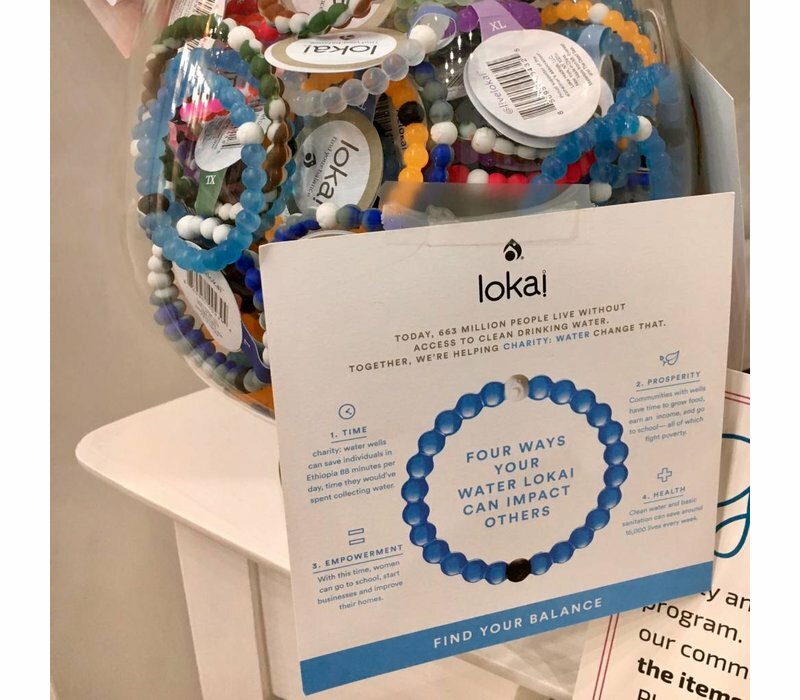 Sometimes you’re on top of the world. 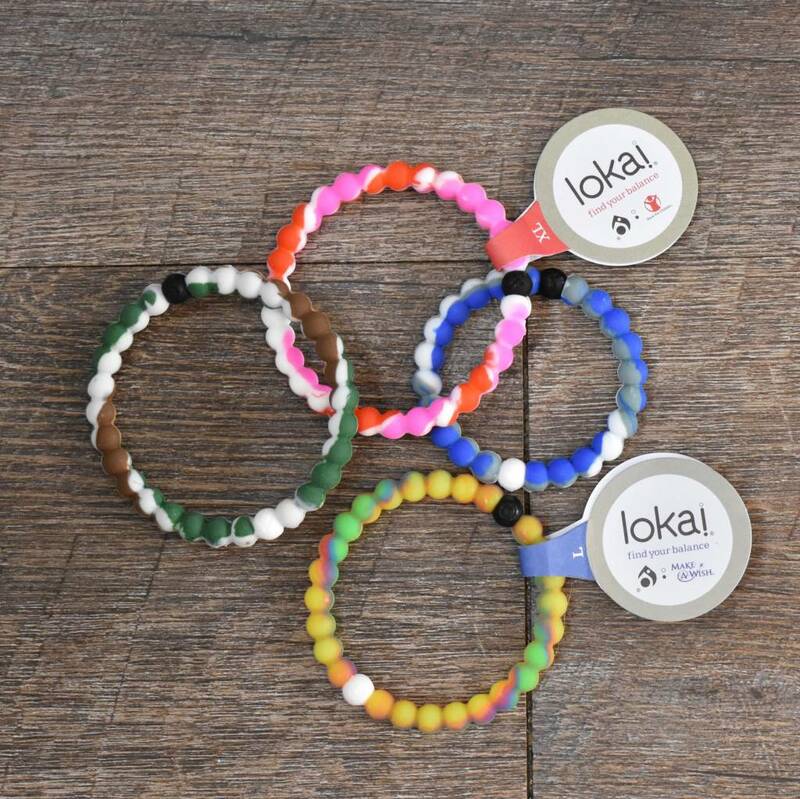 Stay humble. 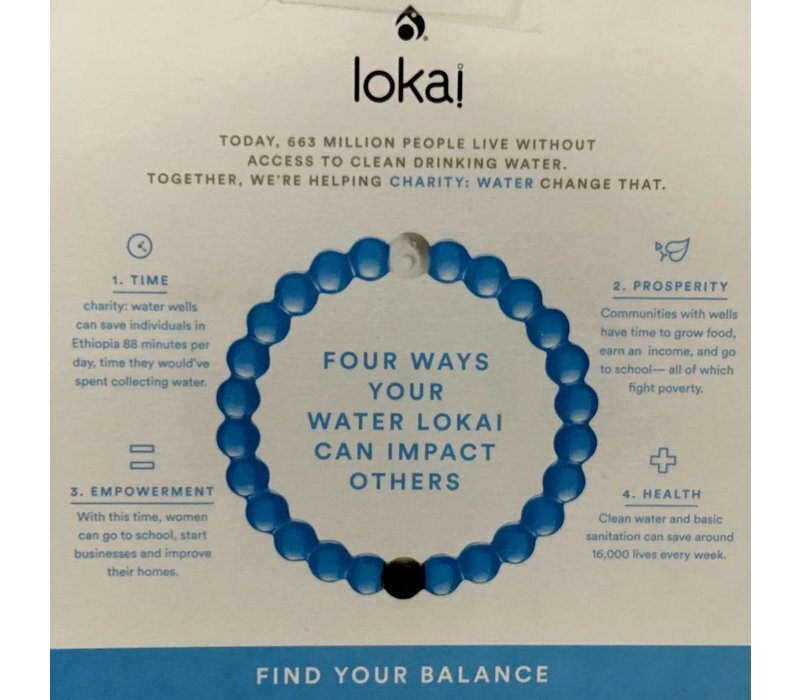 Sometimes you’ve hit a low. Stay hopeful. 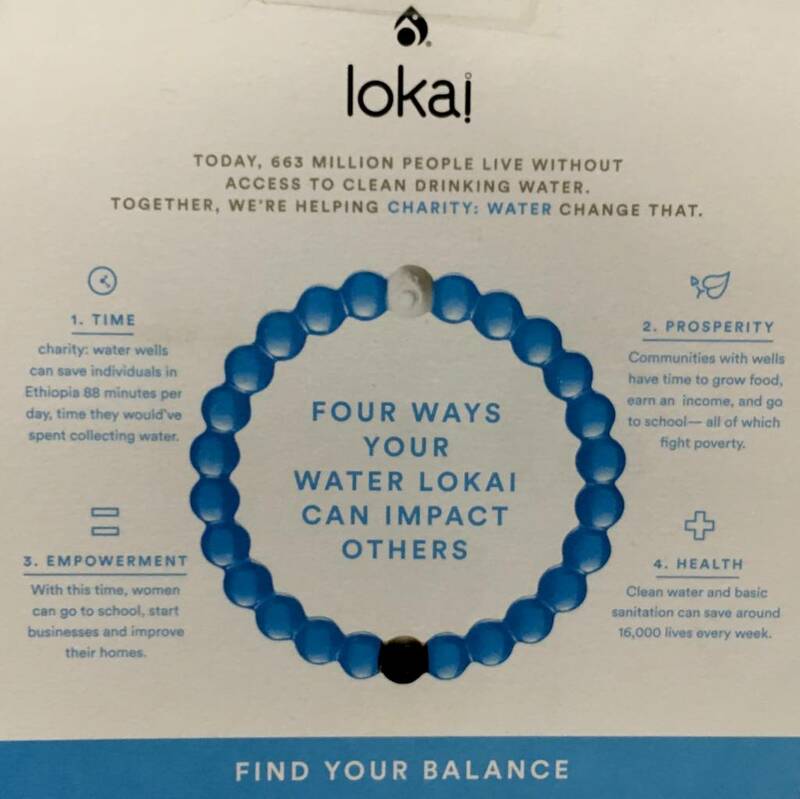 The white bead carries water from Mount Everest, the highest point on earth. 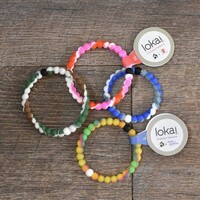 The black bead holds mud from The Dead Sea, the lowest point on earth. 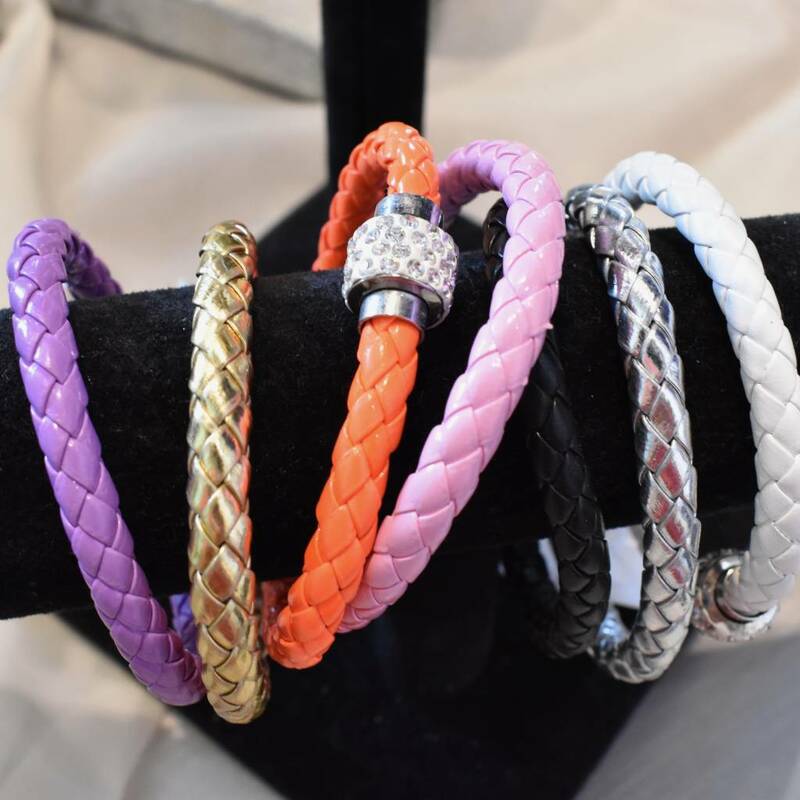 Let us select a bracelet for you! 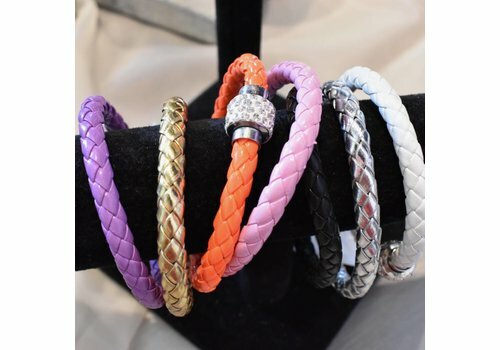 *Please select size/color in the comment section at checkout. 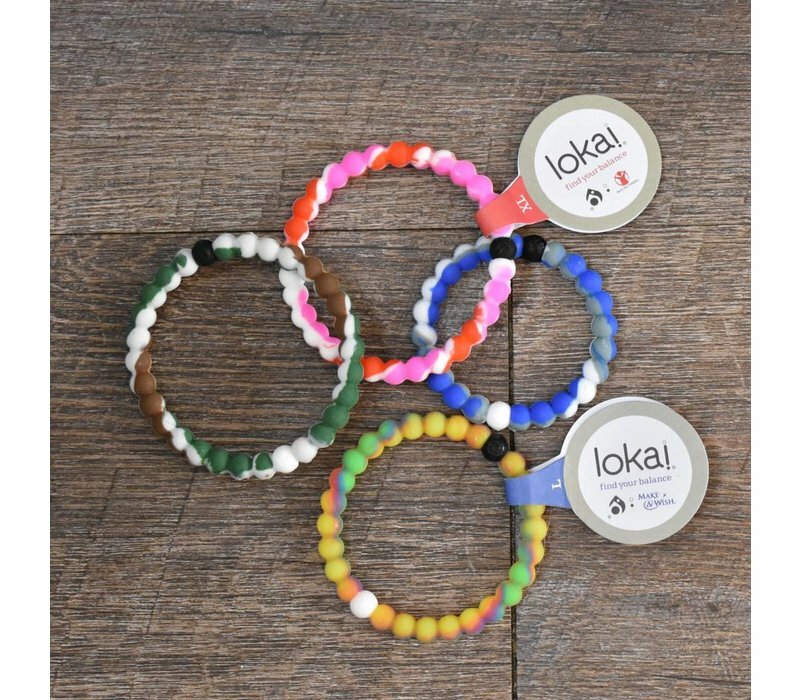 Bracelets are available in Small, Medium or Large (all are very stretchy), and in the following colors: Pink, Blue, Purple, Clear, Black, Gold, Green, Bright Pink, Multi Pink, Multi Blue, Multi Camo, Multi Yellow. 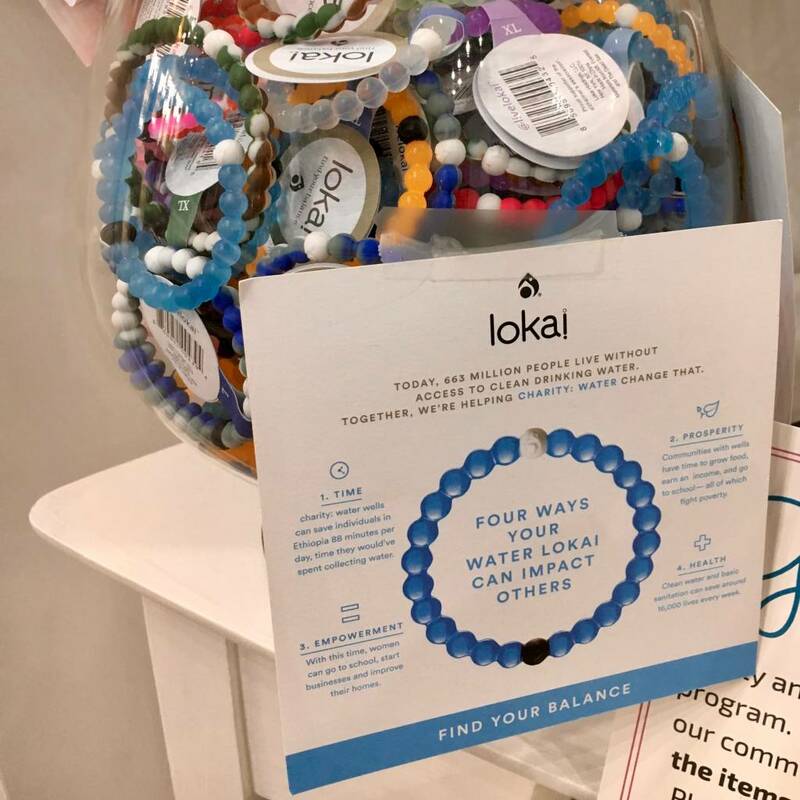 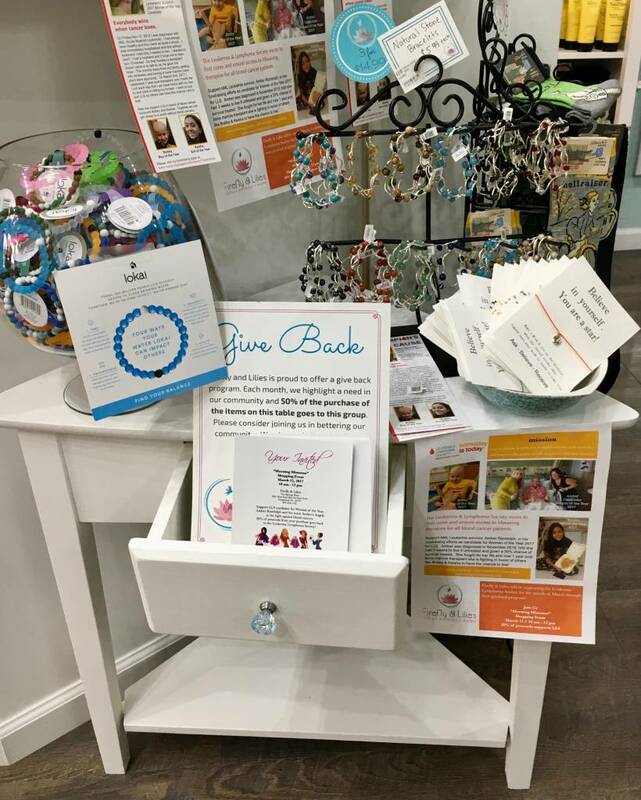 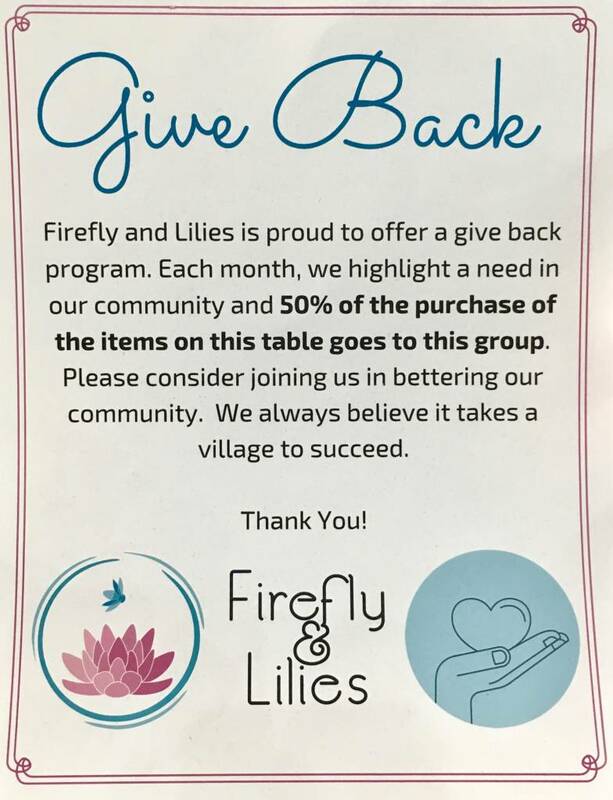 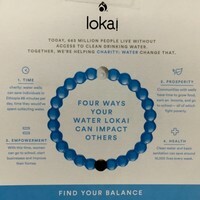 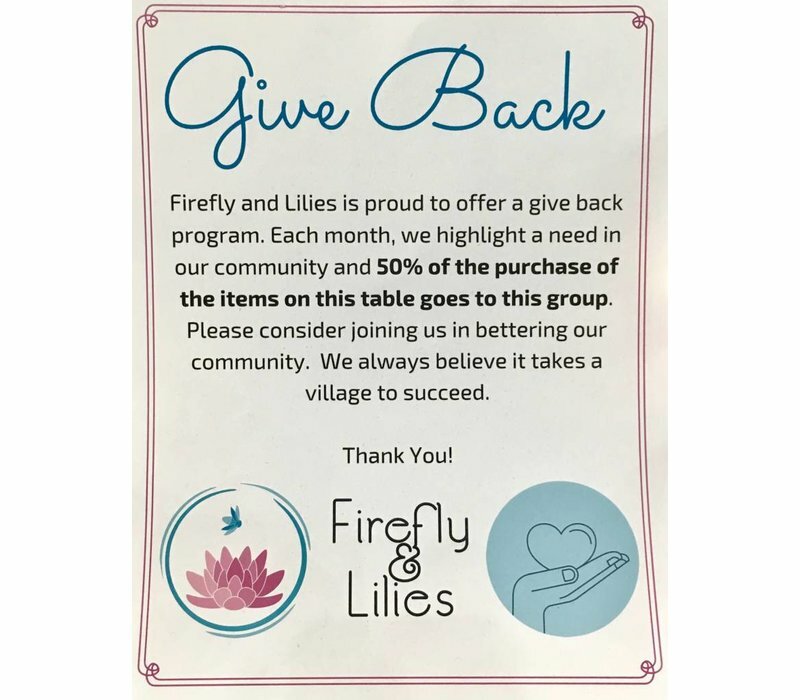 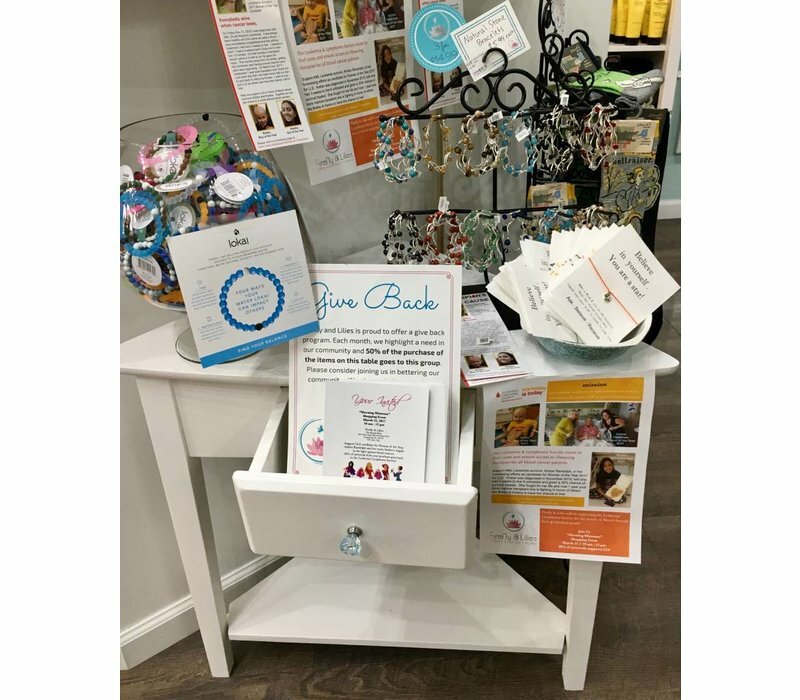 Our Lokai bracelets are part of our Firefly & Lilies "Give Back" program! 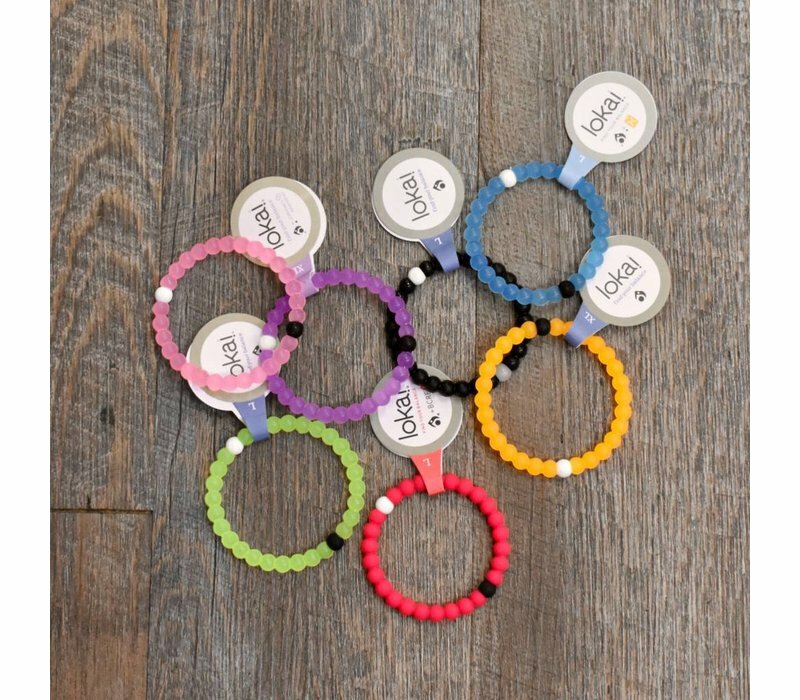 50% of the purchase price of each Lokai bracelet will be donated to the community need being highlighted the month of purchase! 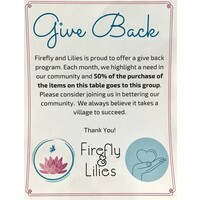 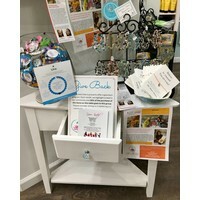 Check out our other "Give Back" items, and make a difference with each purchase!